Well, at least one almond tree in the Benicia State Recreation Area is blooming. 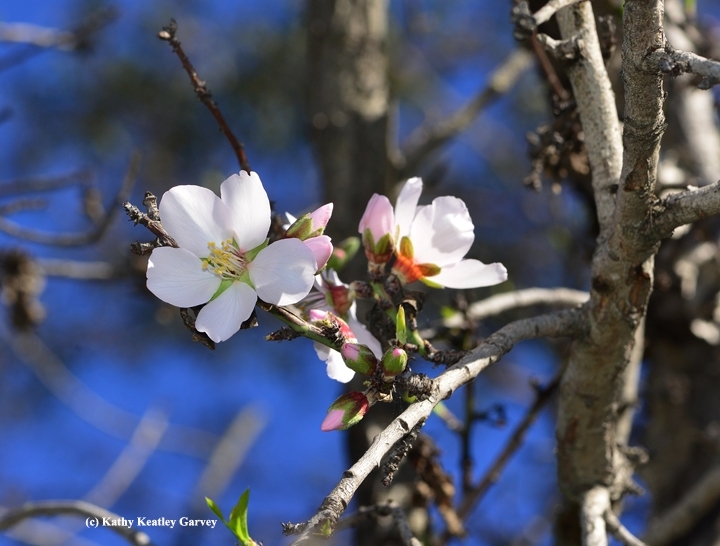 On a drive to Benicia on Christmas Day, we spotted several blooms on an almond tree. The tree, a foot from the parking lot, was getting a little southern exposure--and soaking in the warmth of the sun bouncing off the asphalt. California almonds don't usually bloom 'til around Feb. 14--Valentine's Day--but this tree has always been an early bloomer. It was blooming on New Year's Day in 2014. Unfortunately, the honey bees hadn't found it yet. 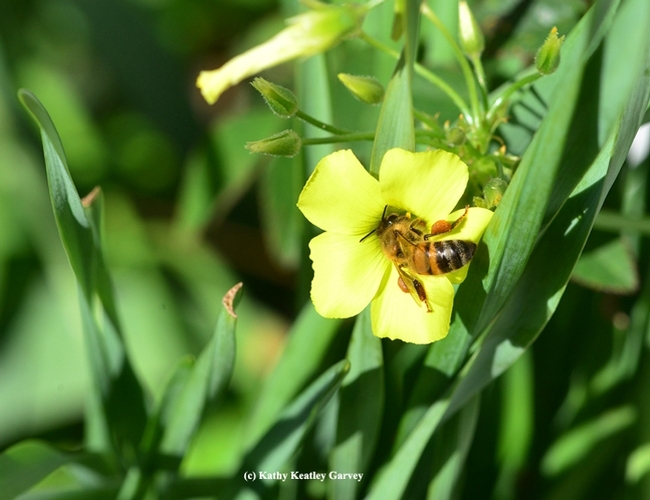 But they did find the Benicia Capitol State Historic Park, where jade and oxalis have burst into bloom, and they also found the winter vegetables in the Avant Community Park in downtown Benicia. 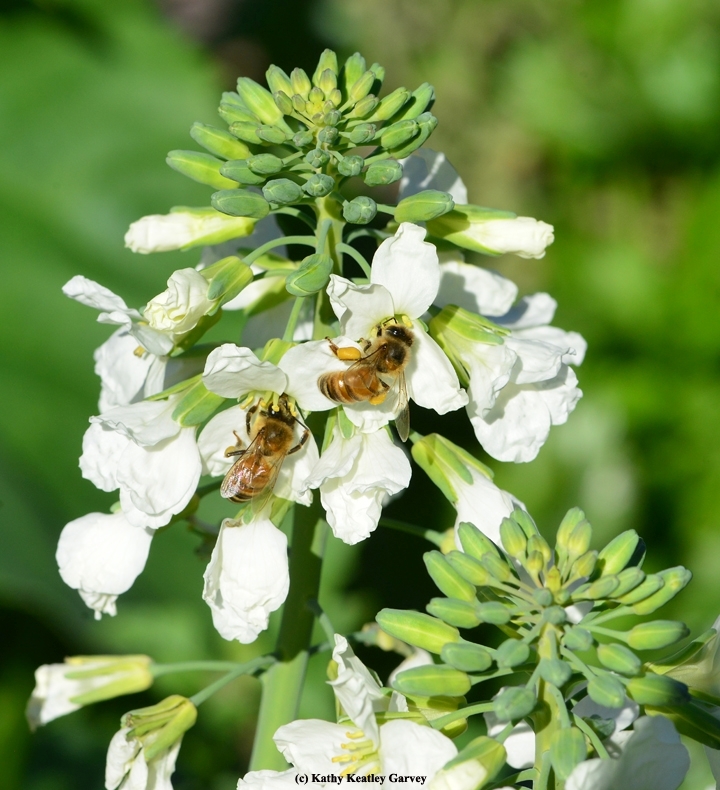 The bees were working the broccoli blossoms, two bees at a time. Who says broccoli isn't good for you?